IPAN’s membership now includes over 45 varied commercial, financial, professional and academic organisations and individuals, all with a shared enthusiasm for IP and a passionate belief in its key role in the developing “knowledge” economy. The UK Intellectual Property Office is an observer member. Information about becoming a member of IPAN can be found here. Academy by PatSnap provides free online training to help students, R&D teams, start-ups, innovators and entrepreneurs understand the world of patents and IP, and enables them to draw actionable insights for business questions. Established in 1998, the Alliance for Intellectual Property represents trade associations across the creative, branded and design industries concerned with ensuring that IP rights are valued in the UK and that a legislative regime exists which enables the value and contribution of these rights to be fully realised. Its members include representatives of the audiovisual, music, games and business software, and sports industries, branded manufactured goods, publishers, retailers and designers. Anthony Jones Insurance Brokers was established in 1984 and has offices in Bristol and Bromley. It offers independent IP and other specialist insurance and risk management advice in the business and private sector, developing long-standing relationships with its customers and insurance partners, built on trust and reputation. ACID – Anti Copying in Design – is committed to supporting designers, makers and manufacturers in all sectors to raise awareness about the importance of IP for innovation and growth. It is the only UK trade organisation exclusively representing designers in 1000+ companies from 25 different industry sectors with a collective turnover of £3 billion and is committed to fighting IP theft to safeguard innovation and ensuring that IP can be fully protected, exploited and commercialised. ACG – the Anti-Couterfeiting Group – represents the voice of business in shaping an effective deterrent to counterfeiting in the UK. ACG helps to steer effective policy, promote evidenced based actions, empower multi-agency partnerships and strengthen international collaboration. Founded in 1895 and a University since 1966, Aston is a long established research-led University known for its world-class teaching quality and strong links to industry, government and commerce. Aston Business School is renowned for the quality of its teaching, the impact of its research and its supportive environment. Barclays is a major international bank which moves, lends, invests and protects money for customers and clients worldwide. It has more than 325 years of history and expertise in banking from its beginnings in 1690 in Lombard Street, London, through to the launch of the world’s first ATM and innovative mobile phone payments services. Billings Jackson Design is an industrial design firm founded in 1992 with studios in London, New York and Chicago. Focusing on the built environment, it works with multi-disciplinary design teams on urban infrastructure projects, calling this applied industrial design, and with leading manufacturers on building products including lighting and furniture ranges. The Centre for Intellectual Property Policy & Management (CIPPM) is part of the Faculty of Media and Communication at Bournemouth University, UK. It was established in 2000 and has rapidly achieved an international reputation for its innovative policy research and its consultancy projects, in particular in the fields of creative industries and emerging technologies. Briffa Legal is a prominent London based firm of specialist IP solicitors founded by Margaret Briffa with expertise in client focused business strategy and creative thinking as well as IP law. The firm advises all types of businesses, from start ups to large multinational companies, on all aspects of IP protection and enforcement with a particular emphasis on dispute resolution. Margaret is well known for her commercial approach to the most complex problems delivering clients the business solution they want. While resolving disputes in the best way possible, Margaret has represented clients in court on numerous design trade mark patent and copyright matters. 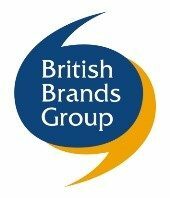 The British Brands Group is a membership organisation dedicated to championing brands in the UK. Its objective is to ensure that the positive contribution of brands to consumers, the economy and society, is better understood by policy makers and others. Its members include leading brand manufacturers of all sizes and it provides a forum for them to discuss issues affecting brands in the UK. The British Society of Plant Breeders promotes the understanding of the science and business of plant breeding and represents the interests of commercial plant breeders with regulators, policy makers, research funders and other industry organisations. Their success in delivering new plant varieties through innovation depends on being able to operate in an enabling regulatory framework with an appropriate reward for innovation supported with effective powers of IP enforcement and adequate and appropriately targeted public funding for relevant R & D.
Sir John Cass Business School is one of City, University of London’s five Schools. It is consistently ranked amongst the best business schools and programmes in the world. Further Cass holds the rare gold standard of ‘triple-crown’ accreditation from the Association to Advance Collegiate Schools of Business (AACSB), the Association of MBAs (AMBA) and the European Quality Improvement System (EQUIS). Together with an established 50-year reputation for excellence in business research and education, Cass attracts outstanding academics, students and businesses worldwide into its energising community. The Chartered Institute of Patent Attorneys (CIPA) is the professional and examining body for patent attorneys in the United Kingdom. The Institute was founded in 1882 and was incorporated by Royal Charter in 1891. It represents over 2000 chartered patent attorneys, whether they practise in industry or in private practice. Total membership is over 3500 and includes trainee patent attorneys and other professionals with an interest in IP matters. Founded in 1934, chartered in 2016, the Chartered Institute of Trade Mark Attorneys (CITMA) is a professional membership organisation with the power to shape law and practice – nationally and internationally. CITMA represents the interests of over 1500 trade mark and design professionals, and fights to bring recognition to the work they do. Its community of members includes fully qualified trade mark attorneys, those in training and support roles, and barristers and solicitors with a trade mark or design interest working around the world. Contra Vision was founded in 1985 to pursue the exploitation of its dominant patent for one-way vision and other see-through graphics, its portfolio also includes some 30 patented or patent-pending improvement inventions in this field. Its products and those of its licensees are seen worldwide on the windows of bus wraps, building wraps, as advertisements on retail outlets, bus stops, etc. It received a Queen’s Award for Enterprise for International Trade in 2014 and for Innovation in 2015. 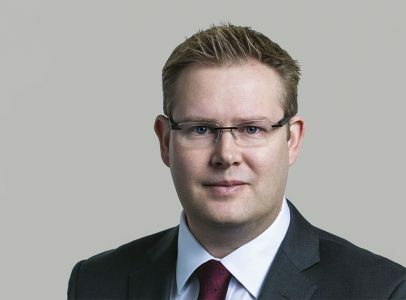 Denton Lovel Associates is a collaboration of industry professionals, based in the Channel Islands and the UK, managing offshore and onshore projects and structuring and providing the experienced directors for business entities to enable tax-efficient delivery of business wealth, growth and strategy. Founded by Rick Denton in 2013, Denton Lovel Associates works with select family offices, wealthy individuals and investment groups to enable the safe management of wealth and the transformation of businesses. The Federation Against Software Theft (FAST) was formed in 1984 and was the world’s first organisation to promote the legal use of software and to defend the intellectual property rights of software publishers. FAST works with its members, law enforcement communities (trading standards officers and local police forces), to detect and combat the sale of infringing software. FAST also helps organisations regularise their software estates when reports of possible misuse or under-licensing have been received about them. Genesis was set up in 1990 by Peter Dealtrey as a marketing and IP advisory business specialising in horticultural and agricultural plants. Genesis protects, markets and licenses plant varieties on behalf of plant breeders worldwide, guiding and advising clients through the PBR, patent or trademark process. It offers a complete service throughout the process of bringing a new variety to market from initial appraisal of a new variety’s market suitability and placing for trials under a Test and Talk trial agreement, to providing a full royalty reporting and collection service. The Guernsey Intellectual Property Office is responsible for administering intellectual property rights within the Bailiwick of Guernsey. Patents, trade marks and designs may be registered and since December 2012, the Office has been receiving applications to register Image Rights in Guernsey. Database rights may also be registered in Guernsey through the Office. Ideas Matter is a consortium of cross-sector enterprises, small and medium-sized businesses and trade associations that aims to expand awareness and promote the benefits of intellectual property. Ideas Matter firmly believes that ideas are important to the economy, important to society, important to companies both large and small. In other words, Ideas Matter for society, business and individuals. 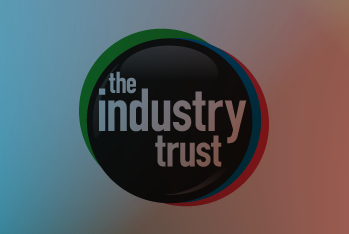 The Industry Trust for IP Awareness is the UK film, TV and video industry’s consumer education body, promoting the value of copyright and creativity. Industry funded, its aim is to address the ongoing challenge of film and TV copyright infringement by inspiring audiences to value great movie moments and choose to watch film, TV and video via legitimate sources. Inngot was founded in 2007 by information industry professional Martin Brassell FRSA and international finance law expert Professor Iwan Davies. Its board also includes experts in database and systems design, IP licensing and exploitation and information management. Inngot’s rationale is to help organisations translate their intangible assets into real value. They don’t register rights but instead aim to give an objective, well-informed view on the return on investment assets are generating, and how best to safeguard and maximise it. Innovate Product Design was founded in 2001 by Alastair Swanwick as a company that specialised in helping individual inventors and entrepreneurs to design and develop their new ideas. It continues today to succeed in helping clients market their new product and business ideas. Innovate’s expanding array of expertise currently includes award winning design engineers, researchers, business development professionals and experts in all areas of IP, product design and manufacture. Innovate can now help take an idea from paper to product, providing inventors with the best chance of success at market. The Institute of Brand and Innovation Law was established in 2007, by the late Sir Hugh Laddie, within the UCL Faculty of Laws to reflect its strategy of expanding its activity in the field of intellectual property law. IBIL’s staff have judicial, practical and academic experience and, in addition, are assisted by an advisory panel, consisting of judges, practitioners and members of the intellectual property institutions. The Institution of Engineering and Technology (IET) is one of the world’s largest engineering institutions with over 167,000 members in 150 countries. It is also the most multidisciplinary , reflecting the increasingly diverse nature of engineering in the 21st century. Formed in March 2006 by a merger of the Institution of Electrical Engineers and the Institution of Incorporated Engineers, the current Royal Charter and Bye-laws came into effect from 1 October 2016. The IET heritage dates back to 1871, and its mission today is to inspire, inform and influence the global engineering community, supporting technology innovation to meet the needs of society. The Institute of International Licensing Practitioners (IILP) was founded in 1969 for professionals offering services for the commercial exploitation, licensing and transfer of intellectual property. IILP members must adhere to a strict Code of Professional Conduct to ensure the highest possible standard of professional practice is maintained. In addition to promoting greater awareness and understanding of IP licensing its benefits in business development, the IILP helps those requiring professional licensing services contact a qualified licensing practitioner in the relevant field. The IP Federation is a trade association with some 40 or so members which represents the views of UK innovative industry in both IP rights policy and practice matters in the EU, UK and internationally. The Federation works to ensure that proper rights are available, can be secured in a straightforward and efficient way and can be litigated without undue complexity and expense. The Federation is very active in pursuing these needs and is of value to all companies, of whatever size, which own IP rights. It believes that a cost effective, high quality IP rights framework is a critical component in industry’s present and future successes in the global economy. The Intellectual Property Office (IPO) is the official UK government body responsible for intellectual property rights including patents, designs, trade marks and copyright. It operates and maintains a clear and accessible IP system in the UK, which encourages innovation and helps the economy and society to benefit from knowledge and ideas. It helps people get the right type of protection for their creation or invention. In April 2007, the Intellectual Property Office became the operating name of The Patent Office first set up in 1852 in London to grant patents. It now has over 1,000 staff located in Newport and London. The IPO has observer associate status within IPAN. As the national United Kingdom association of the International Federation of Intellectual Property Attorneys, FICPI-UK aims to represent the views of its members and their firms, and thus to be broadly representative of Patent and Trade Mark Attorneys in private practice in the UK. Membership views are sought in a variety of ways, and as part of FICPI, FICPI-UK also provides a voice to the UK profession’s views in international issues. FICPI was founded in 1906 in Europe, and now has members in over eighty countries around the World. It holds regular professional meetings, and its representatives have the opportunity to meet with the major IP offices on an annual basis. INTERPAT is a non-profit association of research-based biopharmaceutical companies that promotes effective intellectual property (IP) protection throughout the world as a key incentive of sustainable innovation to advance global health. Its representatives are the leading and senior executives of its member companies who are responsible for IP and IP related matters. 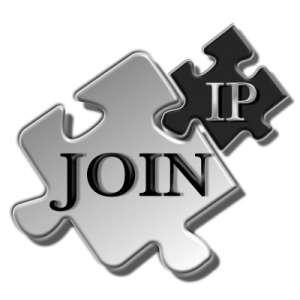 Join-IP is a Guernsey based organisation whose mission is to create an IP ecosystem for the creation, development, growth, management, protection and value realisation of intellectual capital arising from IP and related intangible assets. It is especially targeted at the innovation / SME sector where IP value is often unrealised. It has both a commercial and an educational purpose in relation to IP. James Ware Stephenson solicitors work extensively with the creative and entertainment sectors, including digital media, music, film, tv, fashion, photography and digital games. We have considerable experience in musical and straight theatre and other forms of live entertainment. At the heart of our practice is a deep understanding of the creative industries and the legal factors that underpin our clients’ commercial and professional success, in particular intellectual property. K&L Gates is a fully integrated global law firm with lawyers located across five continents. Our intellectual property practice is one of the strongest in the profession. The firm represents leading multinational corporations, growth and middle-market companies, capital markets participants and entrepreneurs in every major industry group as well as public sector entities, educational institutions, philanthropic organisations and individuals. The London based IP team works on a wide range of commercial, regulatory, and intellectual property matters, particularly in the technology, sport, consumer products, luxury and gambling sectors. The Licensing Executives Society of Britain & Ireland (LES B&I) is one of 32 member societies of the global umbrella organisation LES International (LESI) and is also one of the most active. It is the society for professionals and business people interested in licensing, the transfer of technology, and the commercialisation of intellectual property rights. Members of LES B&I include industry and university executives, scientists, engineers, academics, public officials, accountants, lawyers, patent and trademark attorneys, and consultants. The Society provides unique opportunities for multidisciplinary education and networking, locally and globally. London Business School is one of the world’s elite business schools – driving original and provocative business thinking that challenges and informs students, leaders and policy makers globally. Innovation and Entrepreneurship are major themes for the School and many MBA students choose to study at the School because of its entrepreneurship programmes, its track record of producing successful new student-led ventures and its network of successful and aspiring entrepreneurs – all underpinned by thought-leading academic research and practice. The Queen Mary Intellectual Property Research Institute (QMIPRI) is an internationally renowned research institution in intellectual property law and related areas of commercial law. QMIPRI is part of the Centre for Commercial Law Studies at Queen Mary University of London and is based at the postgraduate law centre in Lincoln’s Inn Fields, London. QMIPRI research is carried out in all fields of IP law, taking an international and comparative perspective. Around 30 to 40 PhD students complement the vibrant research culture. Sybaris Legal & IP (formerly COBRA Legal & IP) is the market-leading expert in Intellectual Property Insurance, and has the most comprehensive range of options available. Its name change reflects its own identity, although it still trades beneath COBRA London Markets Ltd, the London Market and Lloyd’s broking arm of the COBRA Group. Sybaris Legal & IP believes that others should not profit unnecessarily from hard work and innovation. Registration of IP rights only provides a starting point and enforcing IP rights thereafter can be too costly for all but the largest multinational companies. IP insurance solutions give IP rights “teeth” and protect the real corporate value. Trident Trust was established 40 years ago and today is a leading independent provider of corporate, fiduciary and fund services, employing over 800 staff across a global footprint that spans Africa, the Americas, Asia, the Caribbean, Europe and the Middle East. Trident Trust’s Guernsey office was established in 1997 and has grown from a two-person team to a thriving 60-strong operation, providing a full range of corporate, fiduciary and fund administration services. It is licensed by the Guernsey Financial Services and is a member of the Guernsey Association of Trustees and the Guernsey Investment Fund Association. The University of the Arts London (UAL) includes Camberwell College of Arts, Central Saint Martins, Chelsea College of Arts, London College of Communication, London College of Fashion and Wimbledon College of Arts. It is the world’s sixth best University for Art and Design. At UAL we are committed to educating our students about intellectual property. We recognise that is imperative for all of our students, who are working towards a career in the creative industry, to understand both how to protect their work, and how to legally make use of, or avoid infringing other people’s work. We do this through lectures, workshops and events as well as our online educational resource; www.CreativeIP.org. Valuation Consulting is an international business and intangible asset valuation firm providing business valuation and intangible asset valuation services worldwide. It shares expertise and works with Valuation Research Group offices worldwide on projects and to manage engagements associated with the valuation of businesses and intangible assets. Business valuation in its broadest sense is critical to the commercial success of most businesses. The constituent parts of goodwill and intangible assets nearly always represent the key assets in any business. Valuation Consulting has a balanced client base ranging from Fortune 1000 and Eurotop 100 companies, Governments, Financial Institutions and Banks to small,privately held businesses across all industries. Richard Gallafent is a Chartered Patent Attorney, European patent attorney and a past President of the Chartered Institute of Patent Attorneys. He has been in private practice for over 40 years. He has also devoted a large amount of time to providing voluntary assistance in IP, design, licensing, marketing and investment to a wide range of innovators and inventors, helping them commercialise their ideas. He co-founded the group ‘Ideas21’ in 2000 and, through this organisation and the related ‘Second Tuesday Club’, offered free IP advice to small businesses and inventors while also mentoring and training students studying IP. 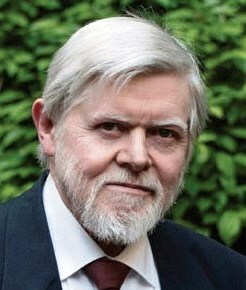 He has actively supported IPAN from its early years and was a Director until November 2018 when he was appointed an honorary member of IPAN. Mary Johnson is a practising barrister regulated by the Bar Council through the Bar Standards Board. 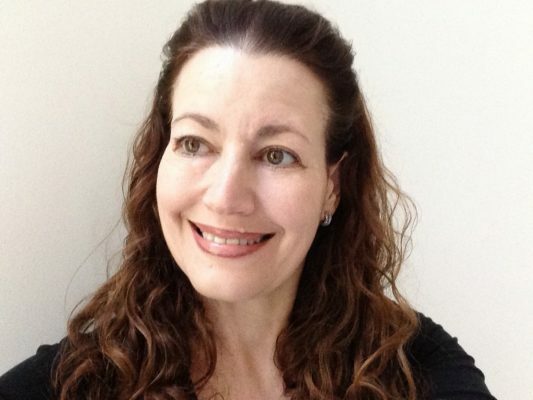 Mandy Haberman is perhaps best known for inventing and commercialising the world’s first totally non-spill toddler cup – the iconic Anywayup® cup – which grabbed 40 per cent market share shortly after launch and went on to revolutionise the nursery industry worldwide. 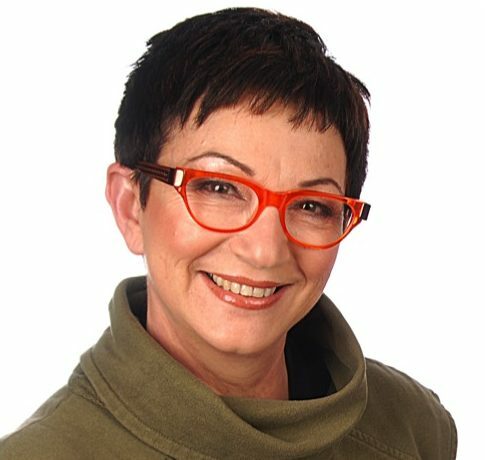 She is a strong advocate of IP rights and is committed to raising awareness, educating and campaigning to help make IP and enforcement more accessible for SMEs, micro businesses and individuals. She has served on the Project Board of the Business and IP Centre for The British Library and on the Editorial Board of Patent World, Informa Law. In 2016 she was appointed as a Non-executive Director of the UK Intellectual Property Office Steering Board. Mandy was appointed an IPAN Director in 2013. She is now Vice-Chair of the IPAN Board and an active member of its Education Group. Felix Nana Kofi Ofori (Nana) has a background in International Economic Law (WTO). He has an MBA from the University of Leicester, specialising in International Business and Marketing Communication. His PhD research area is on Trade Related Aspects of Intellectual Property Rights (TRIPS), exploring the impact of the TRIPS Agreement on access to Medicines in developing countries. Nana is currently based at Brunel University where he lectures on a part-time basis about International Business and Business Law while continuing his research project. Dr Steve Smith is a Chartered Patent Attorney, experienced in pharmaceutical industry patent and related IP matters. Now largely retired, he continues to be a strong advocate for improved education and understanding about the value of IP in government, industry and commerce. He has been actively involved with IPAN and its development since 2000 and was a founding Director when it became a limited company in 2011. 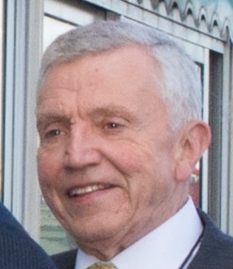 He was appointed an honorary member in November 2018 when he retired from his role as Membership Secretary. 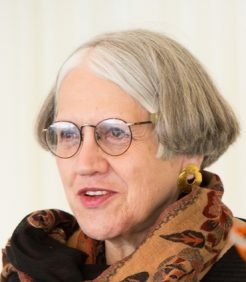 Professor Ruth Soetendorp is a Professor Emerita at Bournemouth University where she is Associate Director of the Centre for Intellectual Property Policy & Management. She is a world-renowned authority on IP education and is HEA National Teaching Fellow and Visiting Academic at the Cass Business School, City – University of London. She is a passionate champion for extending teaching about IP and its socio-economic value across higher education syllabuses. She has supported IPAN and its activities from its early years, as leader of its Education Group and as a Director and former Chair of the Board. She was appointed an honorary member of IPAN in November 2018. She continues to serve as convenor of the IPAN Education Group. Dr Robert Whittock is a barrister practising from Hardwicke Chambers, a leading London set specialising in commercial, construction, insurance and property law. He has a broad civil litigation practice focused on IP, Professional Negligence and Personal Injury. He handles a wide range of claims including multi-claimant £multi-million professional negligence cases concerning off-plan property developments and complicated cases concerning patents. Robert also has a keen interest in pharmaceutical patents and has been invited to give presentations and chair sessions at international conferences in this field, including Assa International IWPCPS-13.